Seunta LLC uses rotational casting to produce quality hollow cast models. Solid casting has always been offered as well. Shrinky production will also be available in the near future. We have been enjoying the model horse hobby since 1972. Seunta is extremely focused on our services and believe that time is of the essence for your project. We have a sculpture molded and the first pieces cast within one week of receiving the master copy. Service is not rushed - service is devoted to you. High quality graphics, ads (print or online), and online promotions, backed by years of experience, are also part of the package that is offered to outside projects. Join us for a caring experience with the type of dedication that your artwork deserves. ​We offer programs for artists to start their project with zero cost up front! Mold making and casting services including commercial applications. Everything from trophies & medals to 3 and 4 part rubber molds (75lbs Max). Cold cast bronze and metal and faux finishes available. Resin casters For the model horse hobby for over 20 years, we were among the "founding fathers" of resin horse molding and casting. 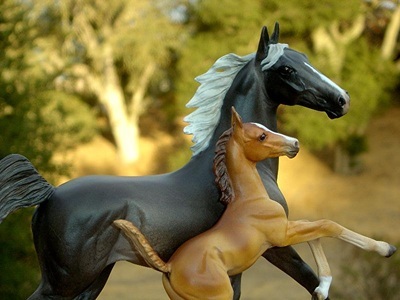 Dedicated to the growth and encouragement of the model horse hobby, and providing the best resin casts available, we are also involved in fund raising for horse rescue and Mustang protection. From the very beginning of our resin casting endeavor, we recognized this as more of a "gift" then a "business". The ability to mold and cast beautiful creations in mass is truly an amazing feat. Coming from simple roots ourselves, we recognized how hard it is to pay your own bills, let alone help others. So we started casting a simple little frog that we GAVE to schools and organizations nation wide, to help with their various fund raising projects. 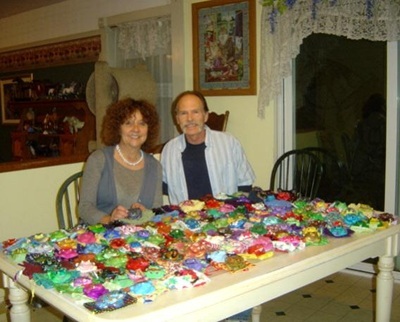 Over the years, we have donated literally thousands of these little resin frogs. More about those fantastic frogs in a moment! In 2005, We founded The International Blessed Broodmare Project (TIBBP) and with the help of model horse artists and sculptors, we were able to see over 450 ex-PMU horses into safe homes. Our "customers" became our "partners" and WE continue to work together helping real horses world wide. We work with many horses rescues and are now gearing up for very special Mustang assistance program that will be generated from our own castings and our partner/customers talents. Please stay tuned.....when we get going, miracles happen. Being part of a bigger and very wonderful thing is truly life-changing. It keeps you focused on what's really important in life. In March of 2011, Japan was devastated by a giant Tsunami. The TIBBP and RBR groups were eager to help out if they could....after all, rescuing 450 horses from Canada is no small accomplishment, so they were ready to go again. We thought for a long time on this and finally hit on a great plan. The people and children in the devastated areas lost EVERYTHING. This is when we started the 500 Frogs project. Our goal was to produce 500 of those little frogs, have them painted and signed by artists all over the world, and sent to the children of Japan and bring the message that they were not forgotten and that the rest of the world really did care about them. Long story short, Resins by Randy ended up casting over 750 of those frogs and sending them to schools and organizations all over the world to be painted and returned to us for photos and cataloging, then we personally wrapped and shipped them to our contact in Japan, who personally saw them into the hands of children and adults in Fukushima. While simply painting a little frog might not seem like much, it meant SO much to the person on the other end, receiving it. You can not buy that kind of joy. Healing happened for the receiver as well as the giver. So we can get pretty busy here! But we never forget our friends,partners, and customers who have always been there for us. We are always here for you as well. Full-service mold making and resin casting service with over 15 years of experience in the model horse casting business. We are dedicated to creating high-quality reproductions of your equine and other artwork with the highest attention to detail. Hollow- and solid-castings of any size with steel reinforcements. Fast turnaround times and friendly customer service. We are always happy to give you a quote so just shoot us an email. We hope to hear from you soon!